I have been busy moving to a less laggy sim. The store will be at Bound Rose Plaza as soon as I can get added to the build group. I am on the second floor, the first store next to the stairs. For now, the old location is still there. You can get the new jewelry release there which includes at $1L set. 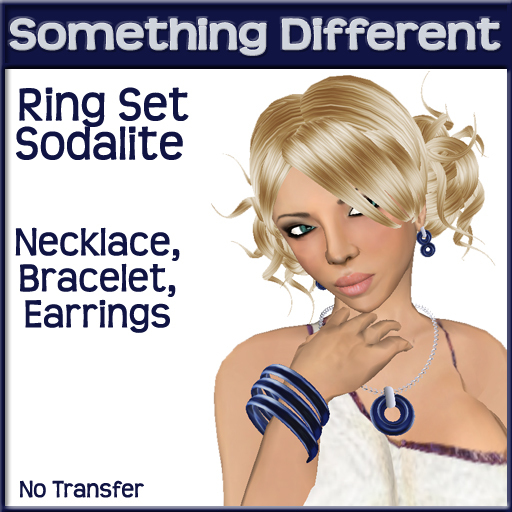 The new jewelry release is a ring set that has bracelet, necklace, and earrings. Each set is $100L.